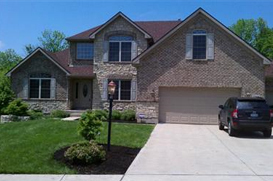 Charmed with the motto “America’s largest community of brick homes”, Huber Heights is located in Miami, Montgomery and Greene, Counties. Began by the developer Charles Huber around 1956, this original subdivision was then incorporated as a city in 1980. Currently Huber Heights is the third largest suburb of the Dayton Metropolitan area and the population of Huber Heights was 38,101 at the 2010 census. Located at the true crossroads of America: I-70 and I-75, the City offers beautiful parks and recreational opportunities for every interest, a very diverse population representing many cultures; great schools and athletic programs, as well as an ample supply of urban and rural housing stock. The educational make up consists of 4 Elementary schools, 2 Middle Schools and 1 High School. The median income for a household in the city was $49,073, and the median income for a family was $53,579.